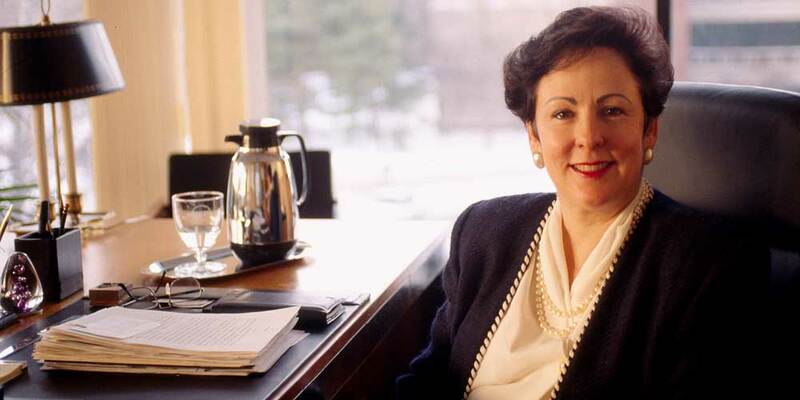 Chancellor Emeritus Nancy Belck joined SIUE as its first woman president in 1994. It was during her tenure, in 1995, that the title for office was changed on the Edwardsville and Carbondale campuses from president to chancellor, and the title "president" was given to the leader of the Southern Illinois University System. Nancy Belck was the first woman to be named president of SIUE. Belck is remembered for bringing the carillon to campus. After her first year, she expanded the Commencement tradition from a May ceremony to May, August and December Commencement ceremonies. During her tenure, she managed the details of opening a 24-hour campus, which was a project initiated by her predecessor, Earl Lazerson. Belck's mission was to increase accessibility to services and extend hours for all services. Under her administration, computer labs were made available to students on a 24-hour-per day, 7-day-per week basis. She also was responsible for expanding commencement practices on campus, making ceremonies available for graduates in May, August and December. While at SIUE she also served as the president of the Leadership Council Southwestern Illinois. Prior to her time at the University, Belck had four decades of experience on seven campuses, serving as a faculty member, a department head, a director, twice as a dean; and as a provost and vice chancellor for academic affairs at Central Michigan University. She served as a member of six academic honorary societies, received a National Leadership Award from the American Home Economics Association, and was an author for several articles for national and international journals of higher education, and research and management. Belck earned a bachelor of science in secondary education from Louisiana Tech University, a master of science in textile science from the University of Tennessee at Knoxville and a PhD in family ecology and communications from Michigan State University. She left SIUE in 1997 to become chancellor of the University of Nebraska Omaha.